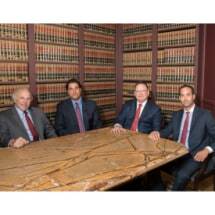 Results-driven, our attorneys at the law firm of Russo, Karl, Widmaier & Cordano, PLLC, in Northport, New York, work closely with you. Building a relationship with you enables us to provide you with legal recommendations responsive to your unique legal needs. You do not have to face your issues alone. We are known for helping people make smart decisions even when the answers are unclear. Our attorneys can help you make those smart decisions because our firm draws on more than 25 years of experience. We have been down these roads many times and understand how to avoid the hidden obstacles that can trip people up. In helping you navigate the legal system, we make it our goal to put your mind at ease. You can count on us to keep you informed of your rights, your options and the status of your case. Recognizing the challenges people may face as a result of legal issues, we work to make the process as smooth as possible. For the convenience of those we represent, our law firm accepts credit cards. In addition to our office in Northport, we maintain offices in Garden City, Hauppauge, Riverhead and Brooklyn.